Those Last Minute Fall Plant Sales!! 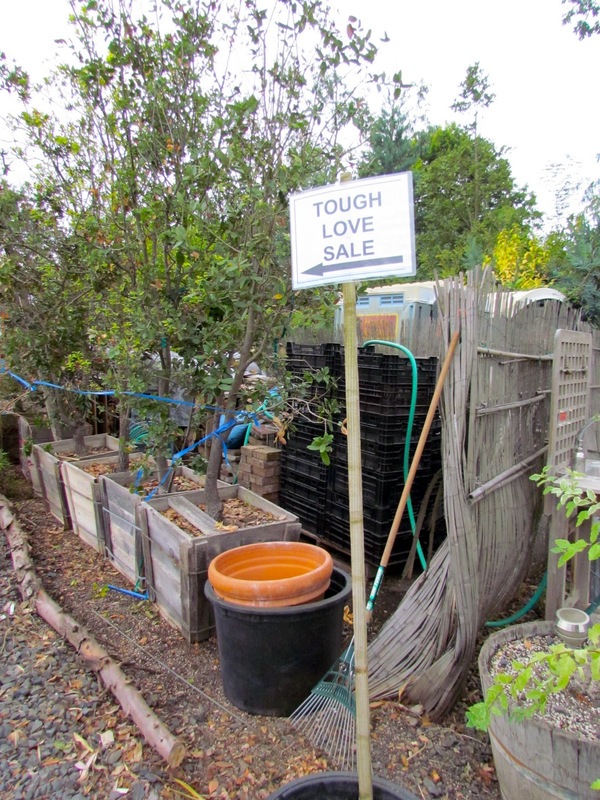 I am such a sucker for the Fall Plant Sale, and by that I mean the plant sales with deep discounts, the ones that often have the sad plants that look like Charlie Brown Christmas trees. Maybe it’s the foster parent in me, the girl who has always been on the side of the downtrodden, sad, and neglected in life, or maybe it’s the fact that I have an incredible amount of patience that is backed by this drive in me to study things over a long period of time. Who knows but at least I am not alone. 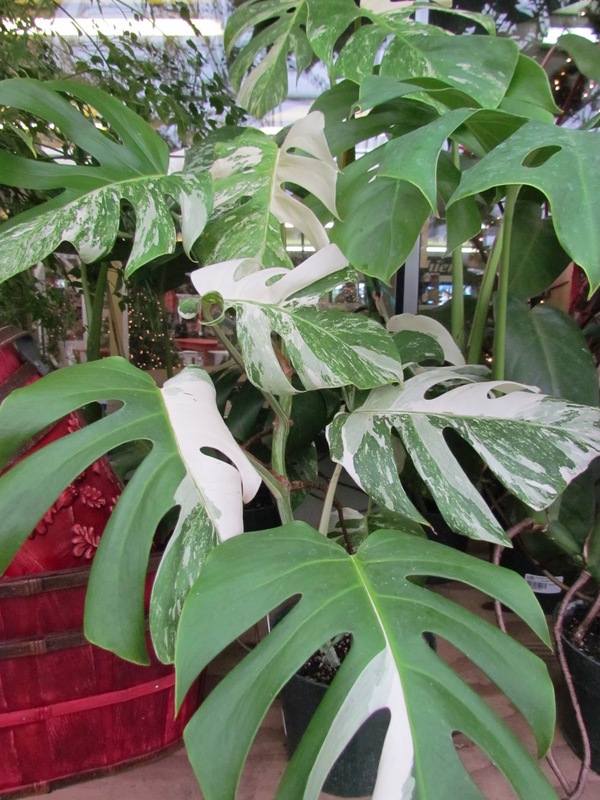 I already have a Monstera deliciosa thriving in my entry, so I knew I could resist this amazing Monstera deliciosa ‘Albo Varietgata’ but I won’t lie, I wanted it! That frosted, glazed donut look gets me every time! 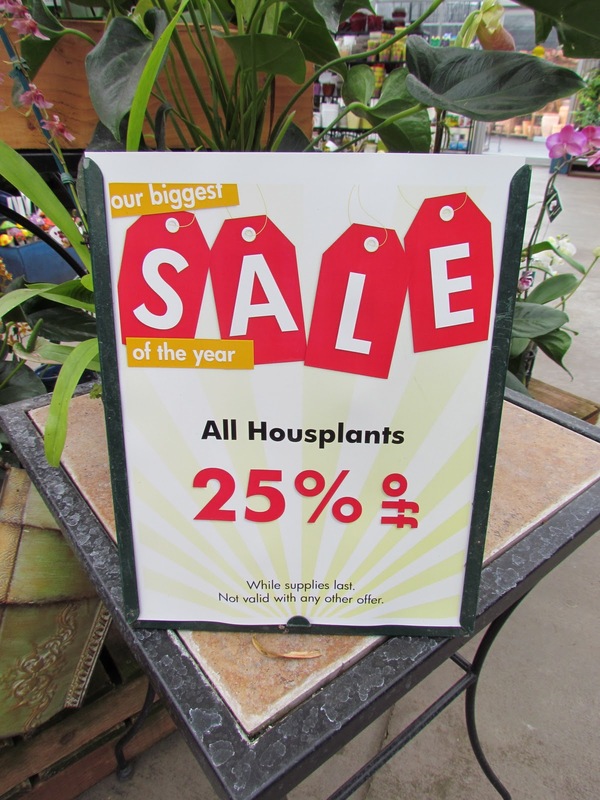 This year I limited myself to two sales and the first one I went to was at Al’s Garden Center in Woodburn. When I saw that they had Woolly Pockets at a deep discount, I had to go! I’d wanted one ever since I first saw them in an amazing glossy ad, but then I promised myself I would resist all the other stuff! 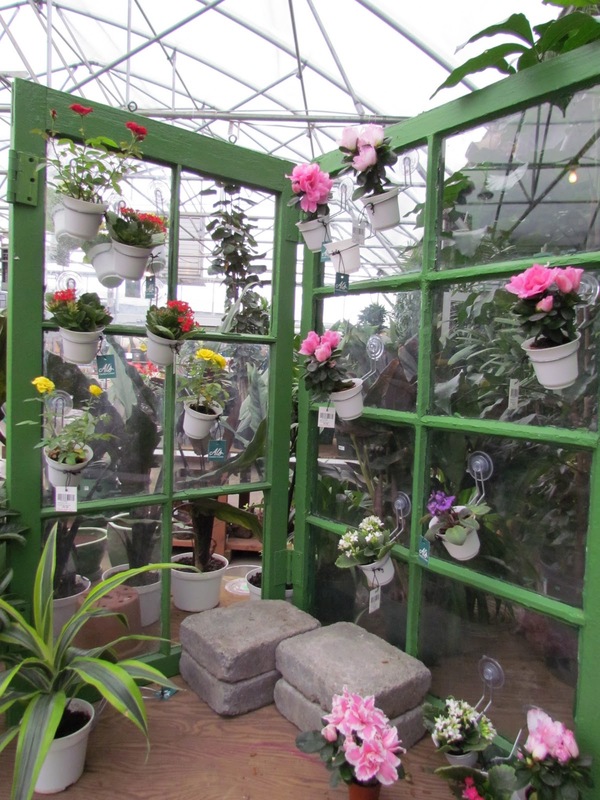 One more way to stuff African Violets into your home. 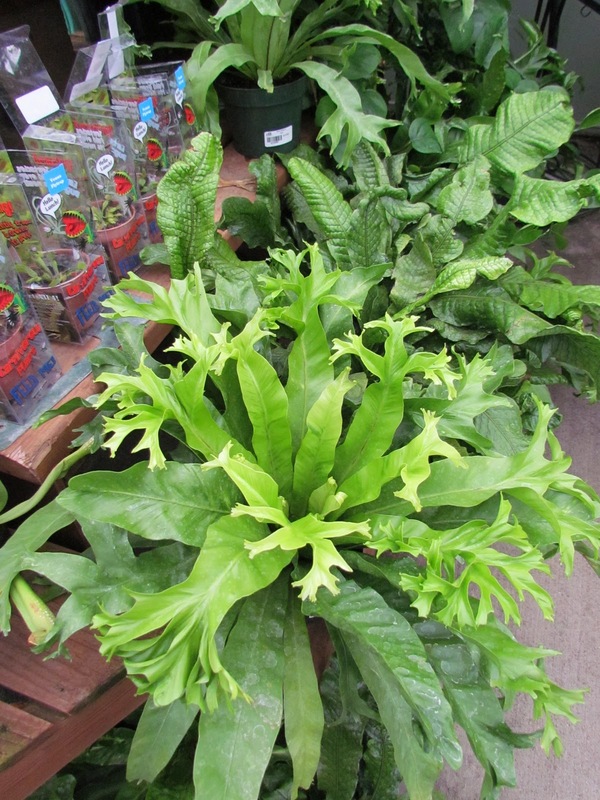 A frilly edged Asplenium nidus, or Bird’s Nest Fern. 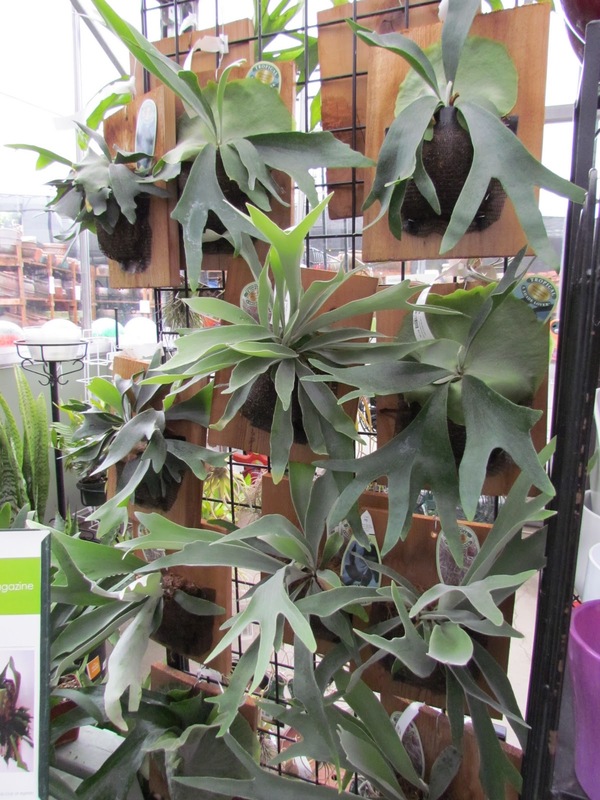 Mounted Staghorn Ferns aka Platycerium. 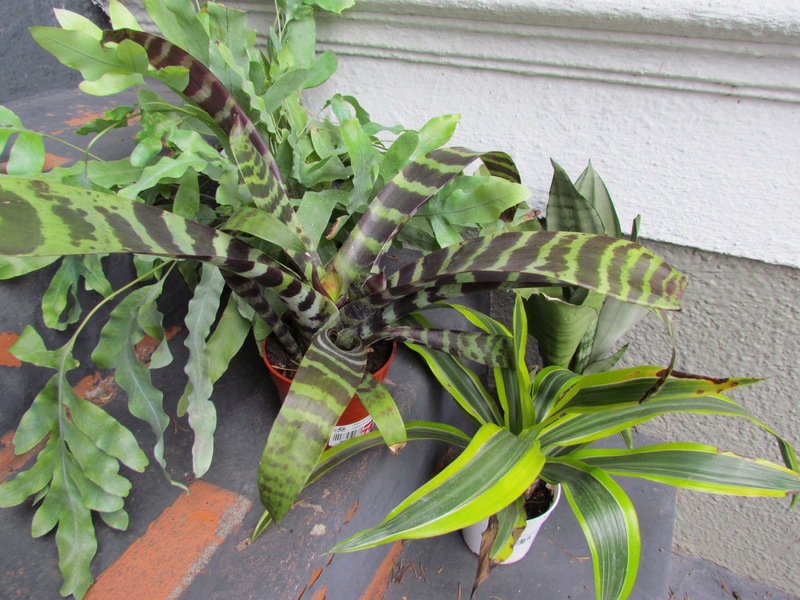 From left to right: Phlebodium aureum ‘Mandaianum’, Vriesea ‘Splenriet’, Dracaena ‘Green Stripe’, Sansevieria trifasciata ‘Moonshine’. 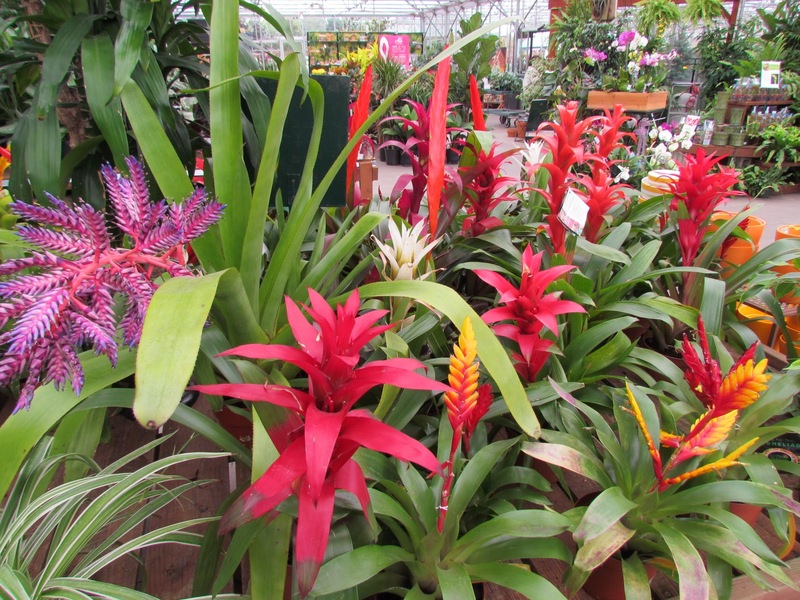 Lucky for me I was able to find a Bromeliad on the clearance rack. At that point, after crumbling, I couldn’t buy just one plant from the sale rack, so I bought the group shown here and brought them home with me. 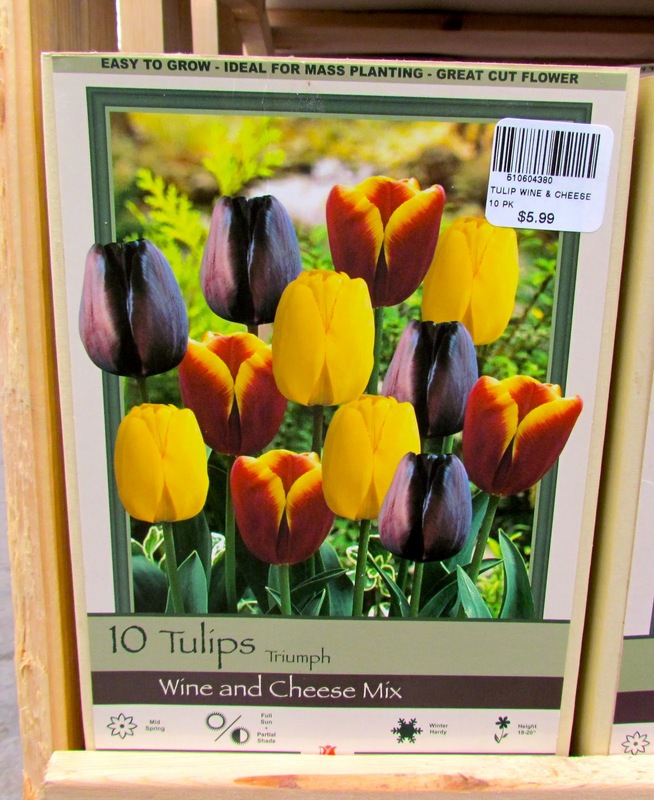 Moving out to the perennial sales area I came across this tulip blend and the idea of a ‘Wine and Cheese’ tulip mix really cracked me up. Maybe this loosened me up too much though because I continued to select a few more items to purchase. 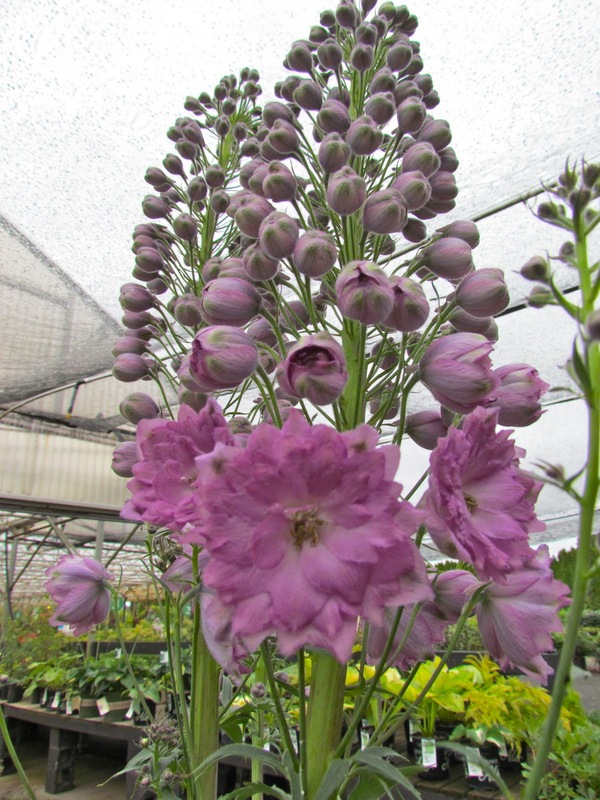 At least I was able to convince my friend to purchase this amazing Delphinium. I am not fond of pink, but I do love dusty rose. From afar, this plant really stood out too. 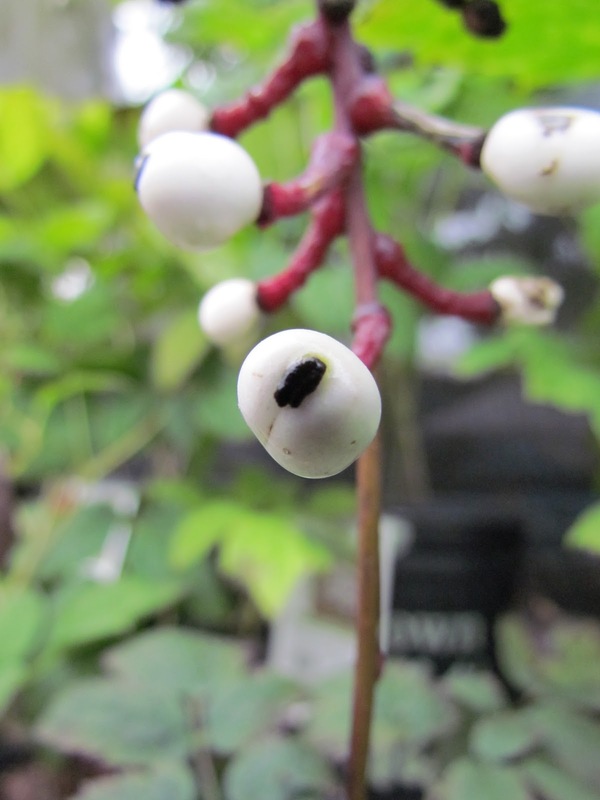 Doll’s Eyes or White Baneberry, Actaea pachypoda. As if by fate, while standing there trying to convince my friend to buy something, I saw these Doll’s Eyes staring at me. This North American native is one I’ve wanted for a really long time. I bought one of them too and, of course, I quickly harvested its seeds. 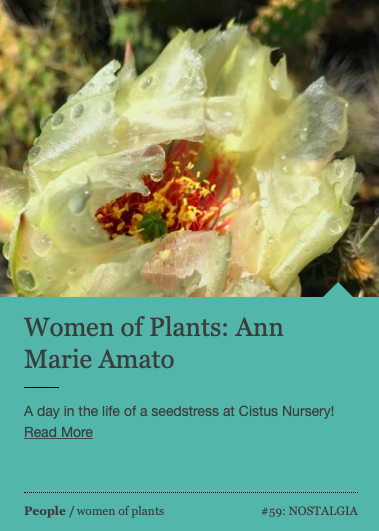 The second sale I was able to commit to this year was the annual Cistus Nursery parking lot sale. 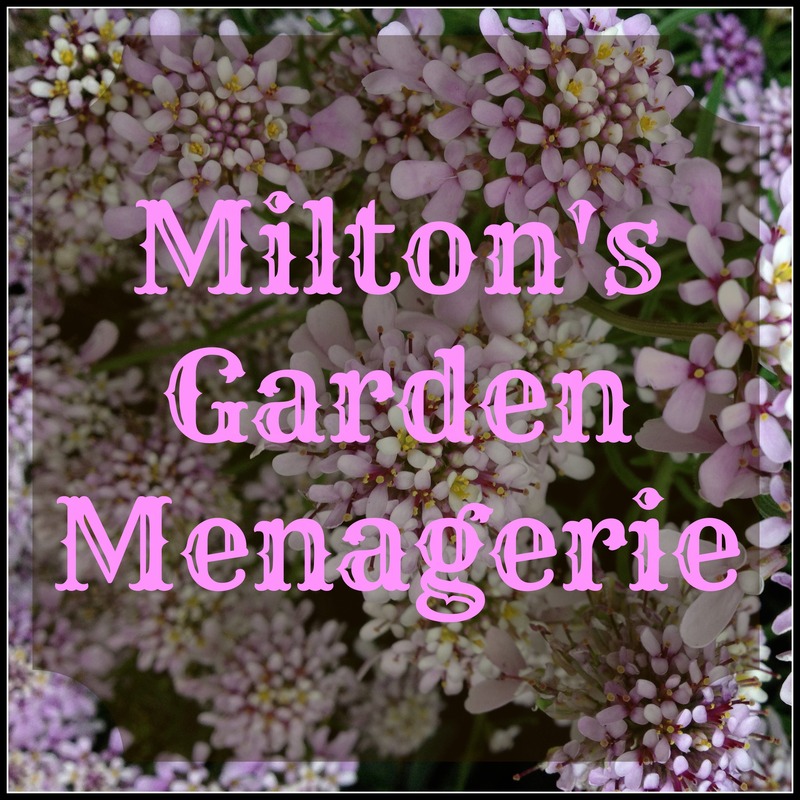 Due to my rather challenging foster child that weekend we were a bit late, and many plants had already been purchased by people who’d shown up with trailers, but we had a good time anyway and found plenty of plants. 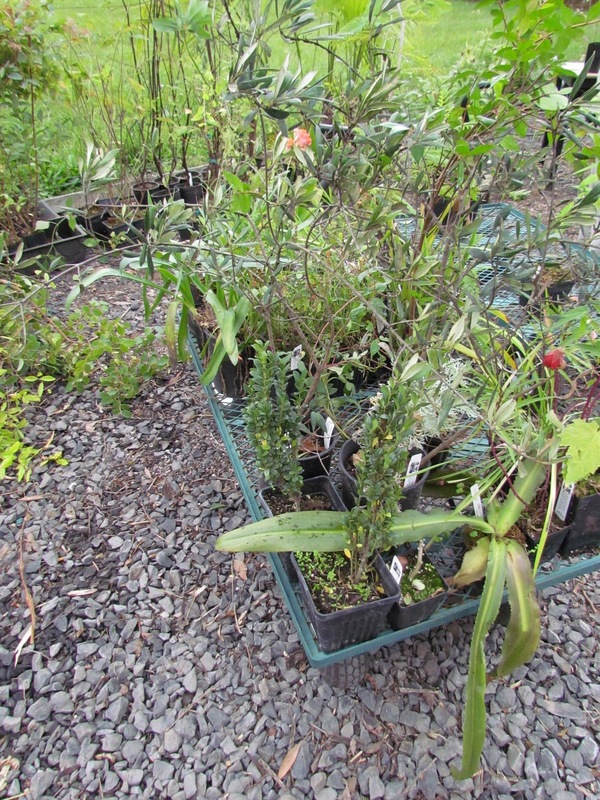 Our cart filled up quickly with plants that were very different from the plants we’d found last year! You just never know what you’ll find at this sale. That’s what makes it so much fun. This year there were a number of Windmill Palms (Trachycarpus fortunei) so I picked one up. 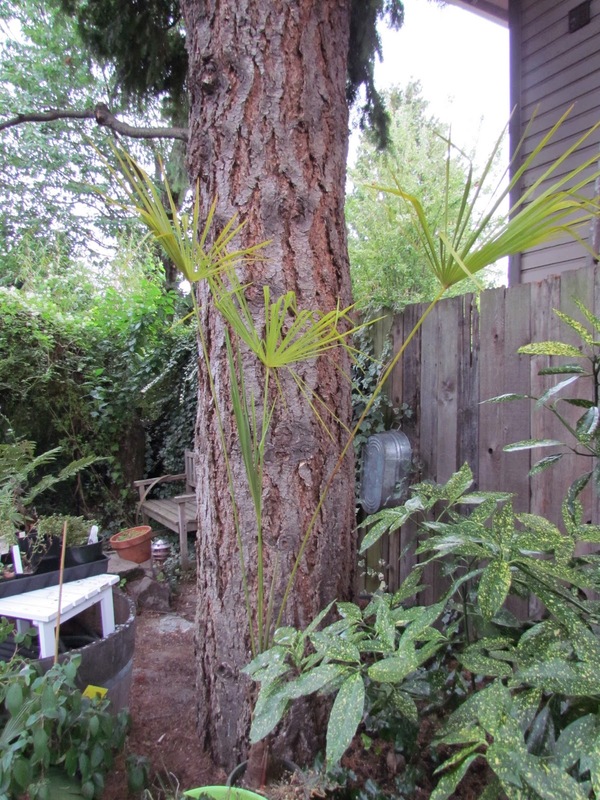 My husband and I were never really sure about planting palms, but after seeing them in Japanese gardens in photographs shown during a lecture last winter up in Seattle, we felt more comfortable about adding one to our berm area. I picked this one after the tag tugged at my heartstrings. 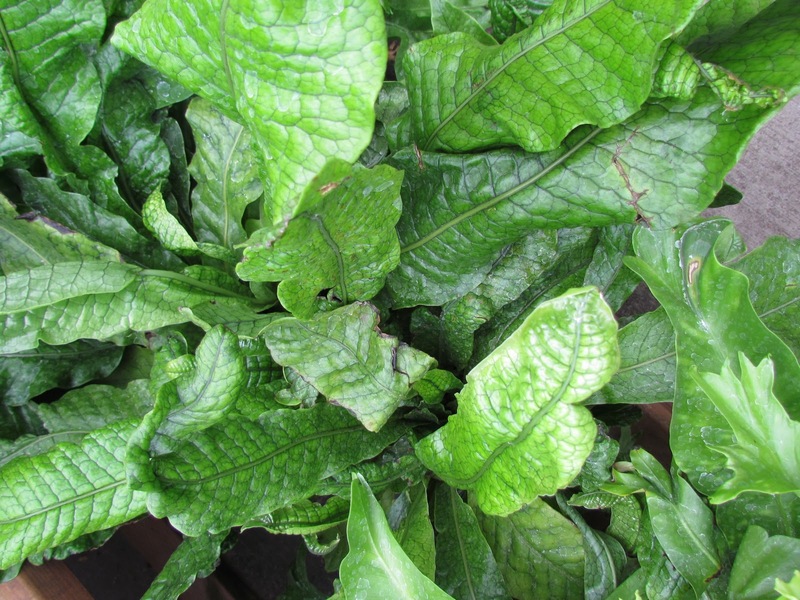 It was grown from Portland seeds. Awhhhhhh! There was also a Myrtle so I bought it even though I already have a small one in the backyard. Myrtles fascinate me and the blooms were so pretty I couldn’t resist. 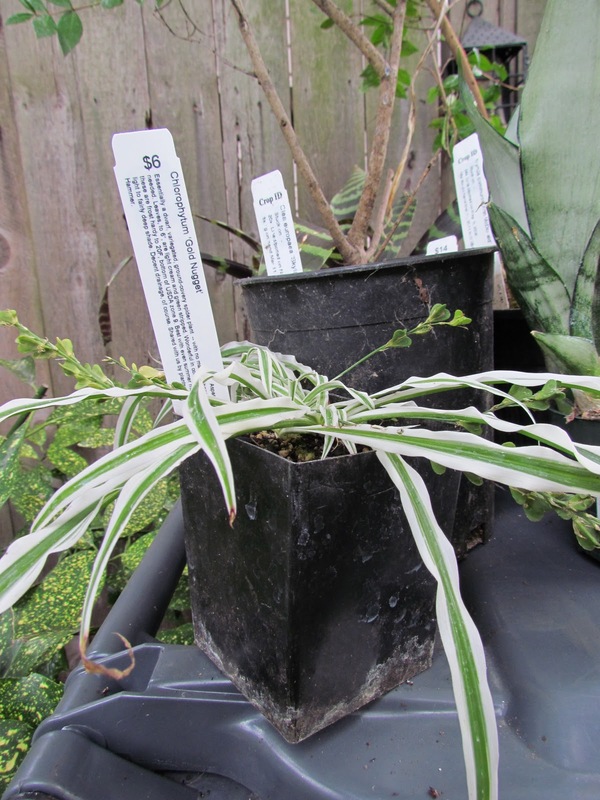 Spider Plant ‘Gold Nugget’ (Chlorophytum ‘Gold Nugget’). I also bought two plants from the nursery that were not on sale. This Spider Plant ‘Gold Nugget’ is one I’ve been wanting for awhile, and since it looked like it had some seeds, I was even more sold on the idea of it. I am curious to see how those grow. I know this must sound funny, but I really am curious. 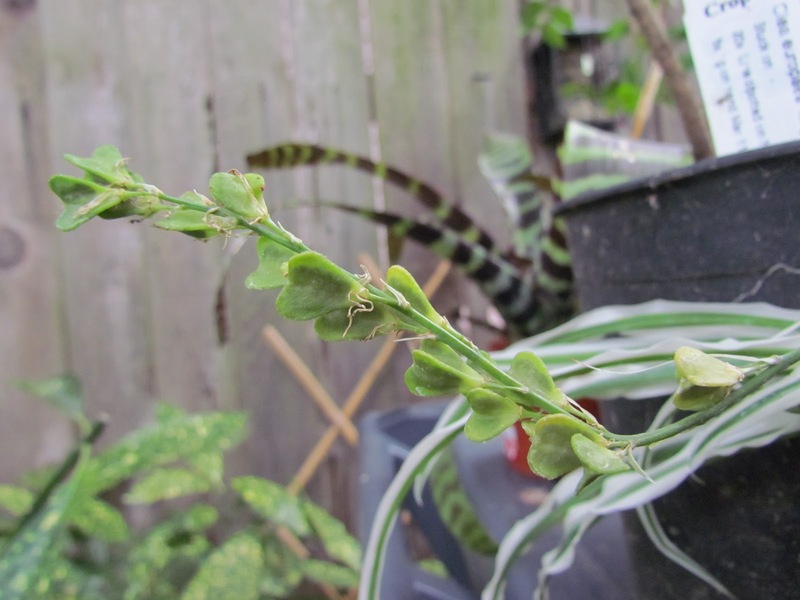 Spider Plant ‘Gold Nugget’, (Chlorophytum ‘Gold Nugget’) seed heads. 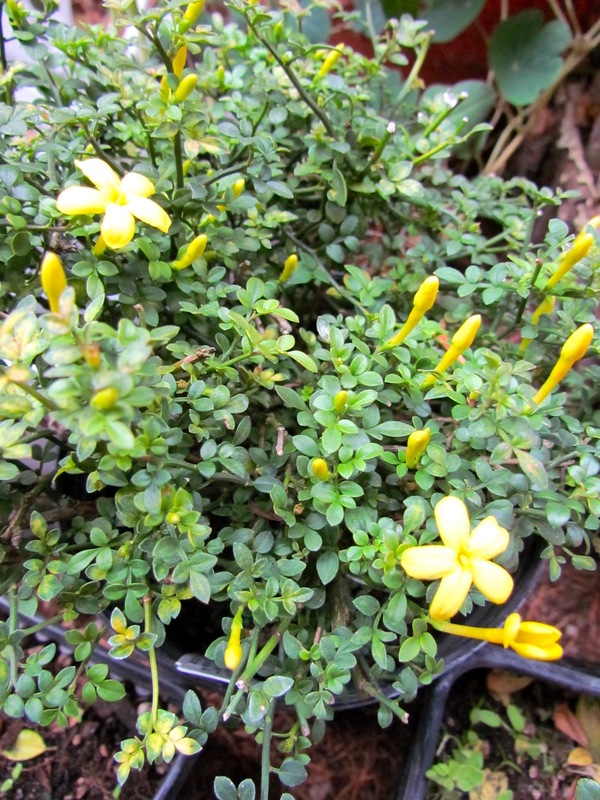 This cute little Dwarf Flowering Jasmine also caught my eye. The smell was nice too. Has anyone else been to any great sales? What deals did you find this fall? Wordless Wednesday: Seeds to Sort By Hand, or, When Will I Break Down and Finally Purchase Some Seed Sieves? You got some great plants! I would have had a hard time passing up some of those ferns, even though I'm really not a houseplant kind of person. And I've been wanting a Doll's Eyes for a while too, I've never seen one at a nursery. Lucky you! That Monstera would have called out to me too, along with all the Bromeliads, thank god I didn't hear about this sale before now! Really there were people with trailers at the Cistus sale? Thank god I didn't see that!!! Have you gone back out yet? I've toyed with the idea but not yet done it. Alison, The Doll's Eye was a 2-gallon that was 50% off!!! I was able to purchase it for $7.50 so I was thrilled. 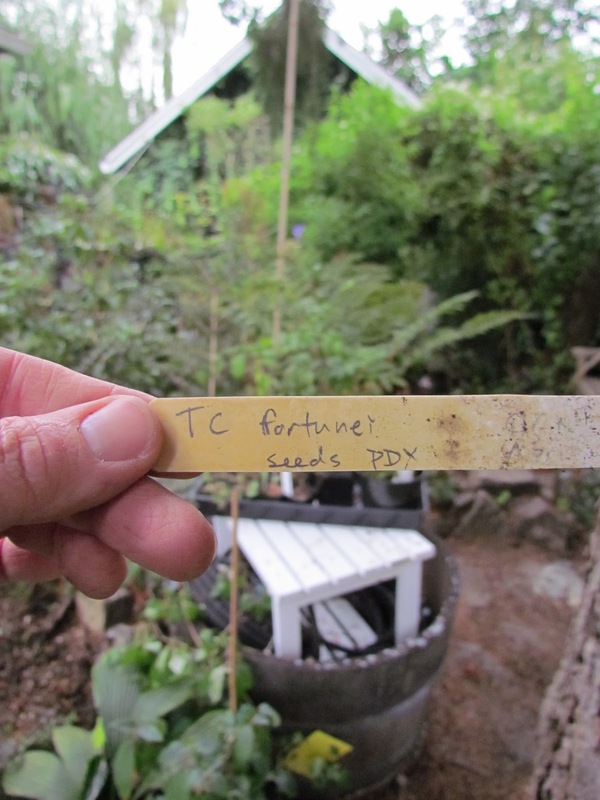 Will let you know if I succeed with the seeds! DG, I have not been back yet but that's funny you should mention it. I worked really hard this weekend and am working on the moving plants into the basement winter garden right now. I have been thinking to myself that I deserve one more trip out there this week. Let me know if you're game! Everything looks great. Man I'd had more plants than I could carry. Fall sales are the best. Wicked Monstera. Drove a good distance today to a great Nursery where I was tempted by one. The cart was full though. Poor excust! 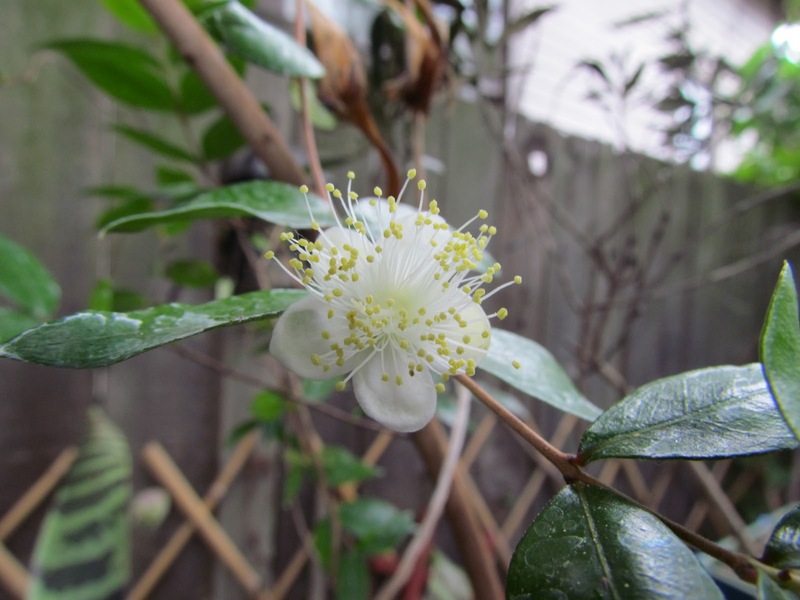 I envy you for being able to grow Myrtus outside. Now it's time to go outside and plant, which, in this crowded garden, always includes transplanting. It's a great day though.